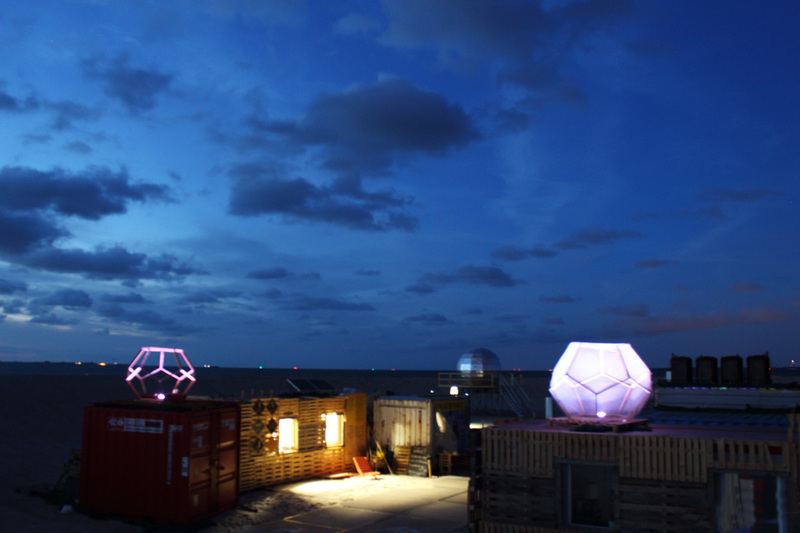 Lighttrail was made for the Urban Campsite Amsterdam and beautifully shows movement in space. It lits up wherever people need it. Energy is being generated by small local solar cells and a larger generator come’s into play to provide the temporary inhabitants with power to charge. The elements seem to be mysterious beacons in an open sight. They lit up whenever someone comes close. Visitors are being moved to step up and play their very own game of light. This flexible installation can vividly brighten up your event location or route too!